Meeting trends: what’s hot in 2016/2017? As you may well know “what’s hot” lists are extremely popular. They give you a quick overview of the latest trends. What, then, are the trends when it comes to meetings? SCRUM meetings were, for instance, increasingly popular in 2015. And in 2016/2017? 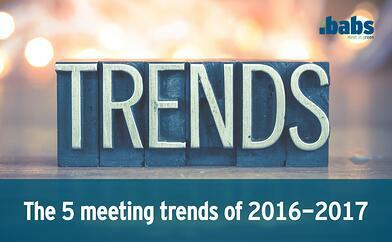 To find out please download our overview of the latest meeting trends.